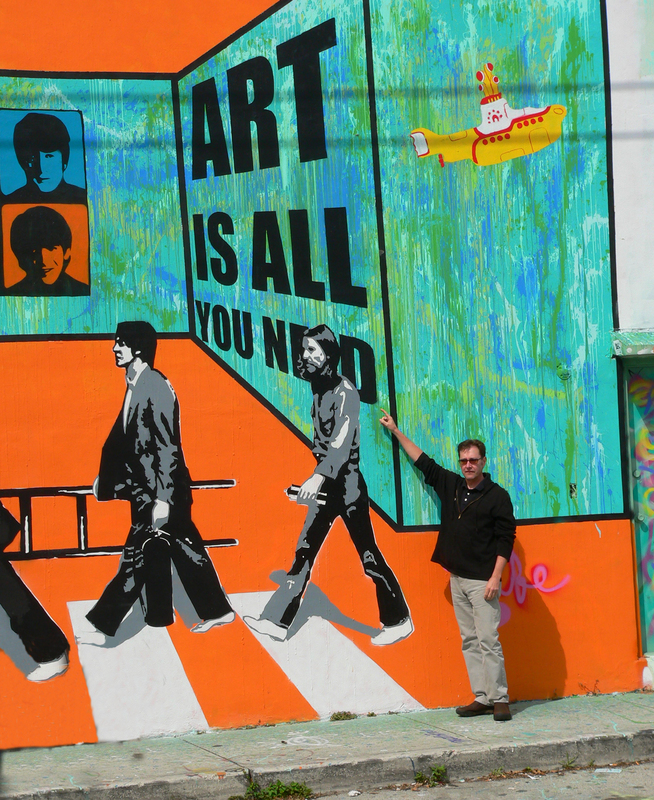 All you need is art…. I have spent the last week or so re-create-ing. This photo is of some of the street art in the Wynwood section of Miami, an impressive collection of contemporary public mural painting. While I was on vacation my websight RVJart.com surpassed 50,000 hits in under a year! This is a big milestone for me and I want to express my thanks to all of you that are faithful followers and also to all of you new viewers. CONGRATULATIONS on your 50K visits! That is an “amazing” stat for such a short period of time. I’d ask what your secret is but I already know it’s your GREAT art and creativity at play. Your Miami visit was a blur; art walk, sushi, seafood, cubans, waterfronts, cocktails, wine, homemade pizza and pancakes, fresh roasted cafe, the everglades, Key Biscayne, Unity on the Bay, dancing to cuban/brazilian and even Captain and Tennille, Italian dinners, frigid Miami temperatures, kayaking on Biscayne Bay and through mangroves, bird and gator sightings, french bakery brunch, from scratch Bourbon Lemonade, Scotch tastings, M&M’s left and right, Pepe the Giant Schnauzer, bike rides, and most importantly; someone’s half century milestone!! Can’t wait to hear more about the auction and see you’s again! Hi Roger, Congratulations on your 50,000 hits. I continue to enjoy your artwork in our home. I am looking forward to finally getting to visit you and Nancy in Vermont this coming July.